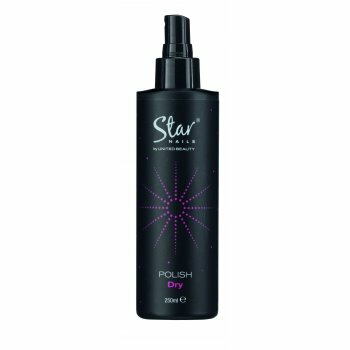 Star Nails Polish Dry Spray, 200ml, leaves nails super smooth and dry in seconds. A quick spray is all that is required for brilliant results. Protect clients nail work by applying after the final coat of polish or top coat. Ideal for professional nail salon use. Dries in 15 seconds.